I always find it amusing to read or hear about fellow Filipinos proudly proclaiming that our homeland is the only Christian nation in Asia ... or Catholic to be more precise. Do we self-confessed Christians know exactly what Christianity is all about? Cory Aquino is supposedly a very religious/pious Catholic Christian, what has she done for the impoverished? What has her family-owned Hacienda Luisita done to its tenants and farm workers other than have them shot and killed? The diminutive kolehiyala-graduate and current President Gloria-Macapagal Arroyo gets her photo ops praying in public, spends public money to bring a coterie of relatives and friends to John Paul II's funeral, etc. what has she done for the impoverished? Many goons and scoundrels in our homeland are so-called Catholic Christians. Multiply all these among the rich, the powerful and the middle class in the homeland and abroad; then ask ourselves: Is there anything a Filipino Catholic can really be proud about in terms of fundamentally working for the poor? Those of us who were nurtured and/or studied in so-called exclusive catholic schools have learned by rote (thanks to the Baltimore Catechism or to its newer spins, the priests and nun-teachers we had, etc.) that the Church's essential task is to bring the glad news of salvation. The Church is supposed to bring to the human race, to all men of good will, the message of spiritual salvation through adherence to Jesus Christ (let's call him JC), the Son of God, who is equal to his father in the unity of the Trinity, but is also a true man, the son of Mary. Thus the essential role of the Church is obviously not an economic one. However much it may be concerned with the divine, JC's message is also deeply attached to humanity since it contains the commandment of love (am not referring to sexual love which we normal people like anytime of day): "Love one another as I love you." This is the supposed message of JC, who loved his own people and all humanity to the point where he died for them. Catholics and Protestants preach and believe so. We all hear this line, day in, day out, year in, year out, ad nauseam. The Lenten Season with the "Pasyon" and the Easter Sunday have come and gone each year, a yearly routine for Catholics and all Christians in general; starting with abstinence -no meat, the church-going followed by barbeque and great shopping sprees during the Easter Sales in the malls. All these religious observations and symbolisms have become routine that they all have lost real meanings to supposed Catholics and other Christians. We so-called Christian Filipinos seem not to know authentic Christianity. 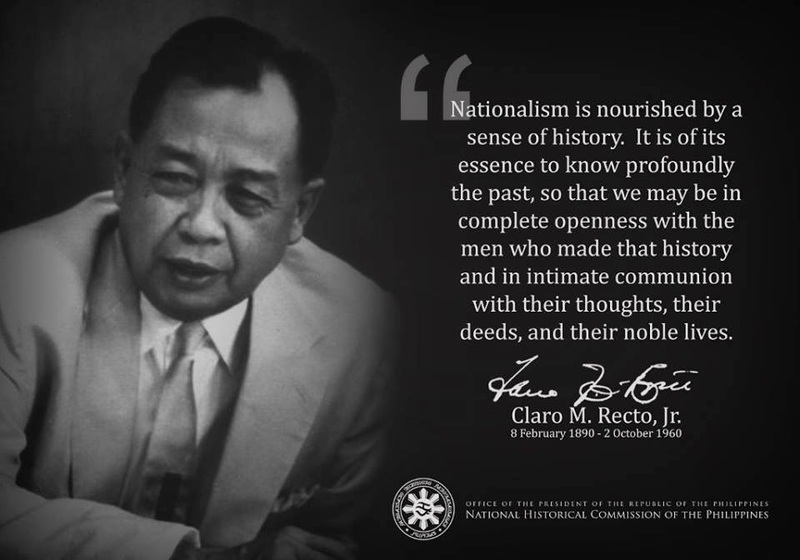 Religiosity, the appearance of religion without its substance or consequence, has long been accepted as a part of the national culture: signs of the cross, prayers at social gatherings, at the Rotary Club and at presidential inaugurals, "God bless the Philippines" at the end of every politician's speech. Thanks to our mostly and similarly ignorant clerics/priests, we seem to concentrate and seem to equate the church edifices, the hierarchy, the Catholic traditions - the symbols and/or rites of Catholicism, i.e. going to Mass on Sunday, baptism, holy communion, etc, the institution as defining Christianity, as making us the compleat Christians. After we step out of the church on a Sunday, we have done our obligation to God; thus we drink and party, we screw around everyone, the ordinary people, we fool out of greed. Thus, we Christian Filipinos end up being "split-level" Christians, as Fr. Bulatao SJ wrote about us in the 1960s. It is sad to realize that throughout the generations only a few do so and these few come from the more progressive religious orders of nuns and priests and some laymen; hopefully beyond the current fad of the generation. As to the religious orders, it is said that in our homeland, "the Jesuits are prudent and wise, Dominicans are servants of the hierarchy, Salesians are conservative and CICMs are rebels." I can only agree. Majority of the so-called Catholics claim that it is hard to be a Christian (seriously speaking, this is true), to be a true follower of JC, and therefore see no need to lift their fingers to help the less fortunate while they go their own merry ways. The Christian message, authentic Christianity, through its great commandment of love, has a great potential for a civilized society to be realized in our homeland. When a group of people understand this, that group can become fraternally united. When the people who claim to embody a Christian society put it into practice, it can probably straighten itself out. At the same time and all these times, in our homeland, there is a rear guard which is deaf to the appeals of certain members of the Catholic hierarchy where more equitable division of land, i.e. land reform and sources of income are concerned, where appeals to disseminate the principles of social justice are involved. This rear guard believes that the preservation of the status quo, of the established social order of things is absolutely necessary; as well as the retention of its privileges. This rear guard is comprised mostly of the ruling elite: the aristocratic families, bureaucrats/technocrats, businessmen, military, politicians, foreign investors and chinoys, majority of whom are self-proclaimed Catholics or Christians. And this rear guard harass, intimidate and even contribute, directly or indirectly with its indifference, to the recent assassinations/murders/woundings of journalists, peasant-labor activists, and most recently activist priests, e.g. Aglipayan priests from Tarlac: Fathers Tadena and Caparro. There is an urgent need for our Christian Filipinos, enlightened Catholics, who can draw from their sacred texts and traditions and direct their efforts towards the realization of a truly decent Philippine society, where respect for man, an active respect and care for the poor majority. There is an urgent need for our Filipino Christians understand what being "servant of the poor" or for clergymen to truly practice, what "church of/for the poor" is all about; to integrate into themselves social responsibility; for true Christians to work, not just for the avoidance of evil, but for the establishment of the "common good". There is an urgent need for so-called Christians to exhibit a genuine, real Christianity that is divorced from every form of greed. "man comes first": but sometimes manmust risk life or material things or reputation to achieve moral good, to save. Also, in the sense that it is ready, capable, strong and skilled and wise to help others and communicate well with others. "Is there anything a Filipino Catholic can really be proud about in terms of fund working for the poor? ": Yes. OFWs sacrifice by leaving loved ones and home to earn money for food, etc. They send dollars and balikbayan boxes. Growing up I remember we would give a mangkok of ulam to our kapitbahay and vice versa. Also, I know that some Filipinos would take in an entire relative's family (ie, wife's) if they need a place to stay until they find a solution. At saka nagpapahiram ng pera kung may kailangang gamot o ano, nagpapaaral ng anak ng maid nila, and they don't look down on the poor, etc. Salvation is true understanding of why Christ died on the cross in human terms, since he was also human. What does "Christ died for ours sins" really mean if you use logic? Rituals have lost real meanings because society is now more materialistic than spiritua. Filipinos come to America to earn money, but have not gained anything spiritual. In fact they have lost their spirituality. Going to mass on Sunday is just a semblance. Joining the rat race, keeping up with the Joneses, competition, "success", wealth, etc. kept us of the good track. People can't reflect on their religion anymore because they are worried about how to survive materially, how to make ends meet, how to send kids to good schools, etc. They have to concentrate mostly on earning a living, based onthe current standards of living and so called "success." It's difficult to pray when you're worried about so many things. "religion without substance...": That's because religion or spirituality isnot discussed in the classroom or at home, etc. "...thus we drink and party, we screw around everyone, etc. ": Are these acts inherently wrong? I believe these are signs of being "human." When humans are subjected to extreme poverty, oppression, control, deprivation, etc., it is difficult to act normal, much less be religious. "...deep ignorance...": Why is this? "...it is hard to be a Christian...": Yes. Because we are also human, not just spirit. "...authentic Christianity...:" Considers given, ie, conscience, culture, instinct, reason, emotions, intellect, etc. "...where respect for man, an active respect and care for the poor majority...": This is where we should concentrate. Make this our goal, instead of other things. Yes.